This special tour visits the Spain’s capital of Madrid, the ancient cites of Córdoba, Sevilla, archaeological museums, the Cathedral in Sevilla, the Mezquita in Córdoba. Discover the beautiful Jerez de la Frontera and Sotogrande in Cádiz, and beautiful Málaga. Taste delicious tapas and enjoy the culture and passion of Spain. Play in the best golf courses. This 12 days Spain tour starts in Madrid, a vibrant European city, where you will visit its world-famous museums, the Royal Palace, the Retro Park and any other places in a private guided tour. Play golf at Golf Santander. Then we will travel to Córdoba, a city that takes you to another world in a bygone era. With its narrow cobblestone lanes, antque street lamps and the UNESCO World Heritage Site, the Córdoba’s Mezquita. Experience the passion and colour of Equestrian Art accompanied by Flamenco. and play golf at Real Club Golf Córdoba. We continue with exciting Sevilla- visiting the Sevilla Cathedral and exploring her intriguing streets. Sevilla has some of the best tapas bars in Spain. Play golf at Real Club Sevilla Golf and Club Zaudín Golf. Tasting the fabulous variety of Finos and Sherry wines, Jerez de la Frontera is so famous for, visiting its main wine cellar. Golf at Montecastillo Golf. 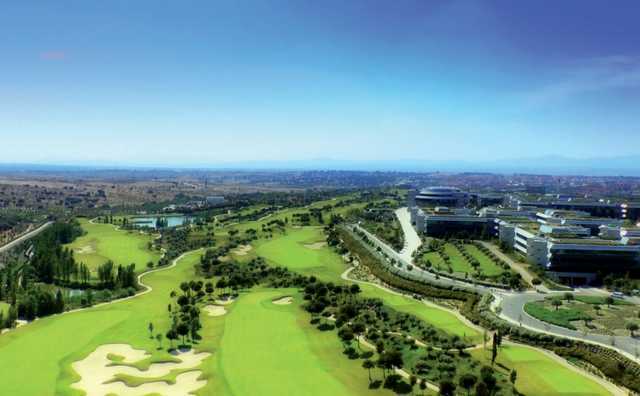 From Ronda, we will travel to Sotogrande where Andalusia has its best golf courses. Play golf at Almenara Golf, La Reserva Golf and Finca Cortesín Golf. We will finish this tour in Málaga. Where do you want to play today? Signup now!